Freedom from discomfort by providing an appropriate environment including shelter and a comfortable resting area. Freedom from pain, injury or disease by prevention or rapid diagnosis and treatment. Freedom to express normal behavior by providing sufficient space, proper facilities and company of the animal’s own kind. Freedom from fear and distress by ensuring conditions and treatment which avoid mental suffering. Roscommon SPCA is very grateful to the Department of Agriculture for its annual funding of €20K for 2019. This Community based programme run by Roscommon SPCA is part funded by the Department of agriculture animal welfare grant for 2019 and donations received. Roscommon SPCA will be carrying out a Spaying & Neutering and Microchip programme from Tuesday 15th January 2018. You can have your cats and dogs spayed/neutered at a discount, also have your dog micro-chipped and registered, the rest is covered by Roscommon SPCA. The programme will run whilst funding is available. To spay/neuter a cat will cost you €10.00, which you pay to the vet. To spay/neuter a dog will cost you €40.00, which you pay to the vet. To Microchip and register your dog will cost €10.00, which you pay to the vet. This is how you apply. We need your Name, address, Phone number and details of vet you are using. 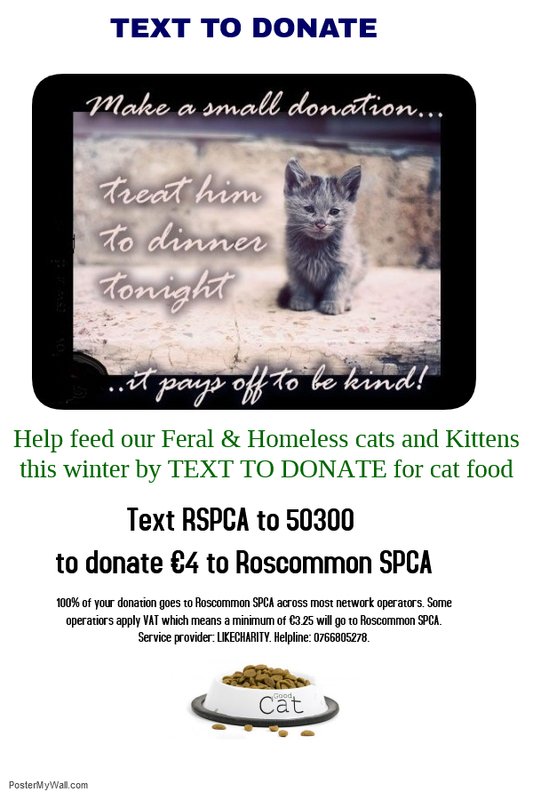 You can email this to us on spca@roscommonspca.ie,or Facebook, phone 087 050 5594. Proof of address may be required. Once we have received this information, we will then issue you with a reference number that you will give the vet when you make the appointment. If we do not have all the above information at hand; we will not issue a reference number as we need this info for our records. Filling in our on Line Volunteer application form. Filling in our Animal Inquiry form. Filling in our Dog Re-homing form. Any information which you provide in this way is not made available to any third parties and is used by Roscommon SPCA only in line with the purpose for which you provided it. 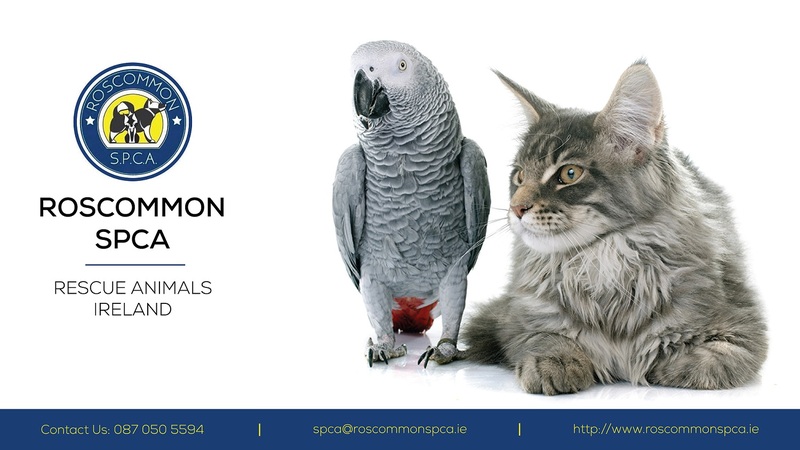 Roscommon SPCA keeps information in order to contact volunteers for fundraising activities where possible. 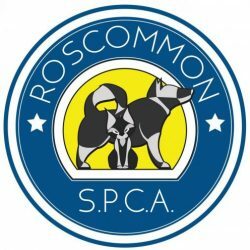 After a period of 5 years without contact, Roscommon SPCA will automatically delete all of your personal information from its database. Roscommon SPCA would like to express their gratitude to Emmet and the staff at Keen Print,Golf Links Road, Roscommon for donating 500 stickers free for our Street collections. We are very grateful for your support. 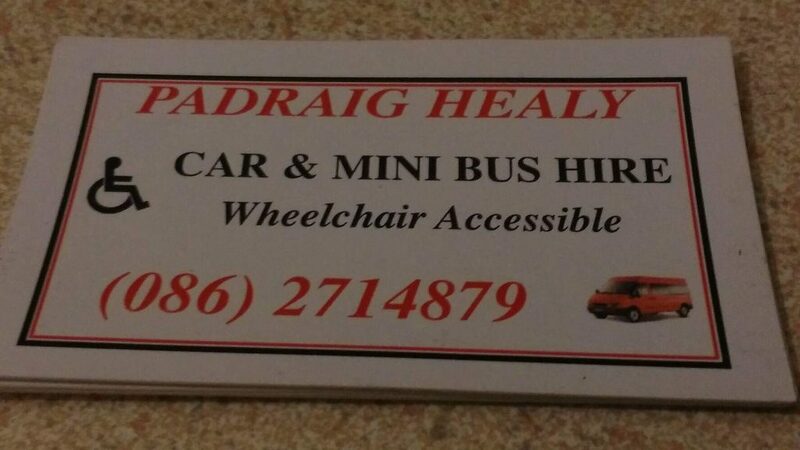 Thank you to Padraig Healy Car & Mini Bus Hire for sponsoring our sign. Roscommon SPCA would like to say thank you to XLNT Signs Racecourse Road, Roscommon, for sponsoring our new street signs. Your support is greatly appreciated. Roscommon SPCA would like to say thank you to DAVAIR LIMITED, Racecourse Road, Roscommon, for sponsoring our new street signs. Your support is greatly appreciated. Roscommon SPCA would like to say thank you to DIGITRONICS Racecourse Road, Roscommon for sponsoring our new street signs. Your support is greatly appreciated. 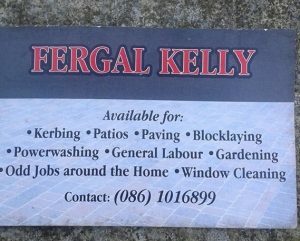 We would like to say a big thank you to Fergal Kelly for his help in checking a chimney out for a cat. Roscommon SPCA is very grateful to the Department of Agriculture for its annual funding. Our School Liaison officer Marie with the Lecarrow Scouts on Wednesday 31st January 2018. Marie was giving a talk on animal welfare to the young Scouts of Lecarrow accompanied by her own rescue collie Millie. 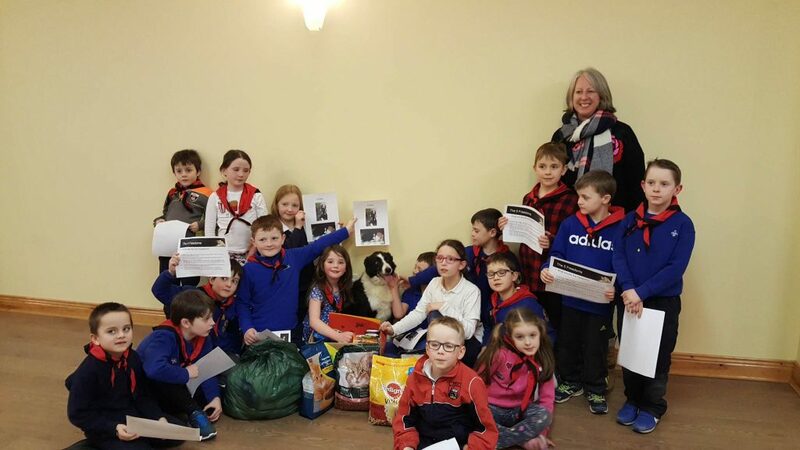 Thank you to Linda and the scouts for inviting in Roscommon SPCA to talk about animal welfare. We would also like to say how very grateful we are for the donations of cat & dog food. Thank you very much. Niamh Loftus talks with Roscommon SPCA PRO, Paul O’ Sullivan about why pets are much more than presents at Christmas time and what can be done to help. Roscommon SPCA are having their annual Christmas Street Collection in Roscommon Town on Friday, 8th of December and Saturday, 9th of December. They are looking for volunteers, so if you can spare an hour or two, it will be greatly appreciated. All the money raised goes directly to animal welfare in Co. Roscommon. 5th December 2017. From 31st of March 2016, it will be a legal requirement for all dogs to be micro chipped and it is already a legal requirement for puppies born after the 1st of June 2016. Failure to comply with the legislation could result in a fine of up to €5,000 so don’t wait – get your dog micro chipped before 31st March 2016. Please note that the new “MICROCHIPPING OF DOGS REGULATIONS 2015″ comes into operation on the 1st June 2015. Click on the PDF link below. Under the Control of Dogs Act 1986, which was amended in 1992, all dog owners are required to have a dog license. • Dogs which are in the country for less than 30 days do not require licensing. The breed of dog is not considered important, but some breeds have specific regulations about leashing, muzzling, etc., in public places. The Control of Dogs Regulations 1998 (S.I. No. 442 of 1998) impose additional rules in relation to the following breeds (and strains/cross-breeds) of dog in Ireland, read full information here. Under the provisions of the Control of Dogs Act, 1986, the Local Authority is responsible for the control of dogs in the County of Roscommon. Roscommon SPCA has no responsibility directly or indirectly in the management or administration of the Dog Shelter/Pound in Co. Roscommon. (c) detain the dog and give notice in writing containing a description of the dog, the address of the place where it was found, and the address of the place where it is detained to the member in charge at the nearest Garda Station to the place where the dog was found, or to a dog warden. Stray dogs that are reported or picked up out of hours by Roscommon SPCA are handed over to the pound at the earliest opportunity. All stray dogs picked up by Roscommon are reported to the Dog warden immediately. Pet dogs, cats and ferrets travelling from other qualifying (lower risk) countries can also travel into Ireland on the same conditions as set out above. Pet dogs, cats and ferrets travelling from non-qualifying (higher risk) countries can also travel into Ireland without quarantine provided the pet has a passport/certificate showing identification and a subsequent rabies vaccination. At least 30 days after rabies vaccination the pet must be blood tested to confirm a neutralising antibody titration at least equal to 0.5 IU/ml. The pet may enter Ireland only when at least three months has expired since a successful blood-test. Every Irish pet that is brought out of Ireland to another EU Member State or re-enters Ireland must have an EU Pet Passport. In Ireland this is issued by private Vets directly to pet owners. If you wish to have your pet’s photograph on its passport (this is optional), you should bring a photograph with you to your vet. The photograph should be no bigger than 6 cm wide and 4 cm long, should feature the pet only and show its colour and markings clearly. On receipt of the Pet Passport from your vet check all entries are legible and correct, as any errors could lead to your pet being detained. SpayAware aims to spread the message about the benefits of spaying and neutering pet dogs and cats to help stem the destruction of unwanted animals in Ireland. text RSPCA to 50300 to donate €4. We love looking after the animals of Roscommon, but unfortunately it costs lots of money, and we don’t have lots of money!! If you can spare a few euros and would like to be the reason that some animal in distress can be cared for, then please consider making a donation using one of the options below. Make cheques and postal orders payable to “Roscommon SPCA” and post to: P.O. Box 10, Castlerea, Co. Roscommon. If you wish to donate by Bank transfer, please contact us by email for our account details. Please label your transaction with your name and “donation”. If you would like to Donate to Roscommon SPCA via PayPal, just click the following button. Please Note: We try to answer all calls and emails promptly but sometimes we are not always able to do so as Roscommon SPCA is run by volunteers who offer their limited free time to help run the organisation. Please bear with us if your query is not answered immediately, we will always try to get back to you as quickly as we can. We thank you for your understanding. If you wish to email us please use this contact form.